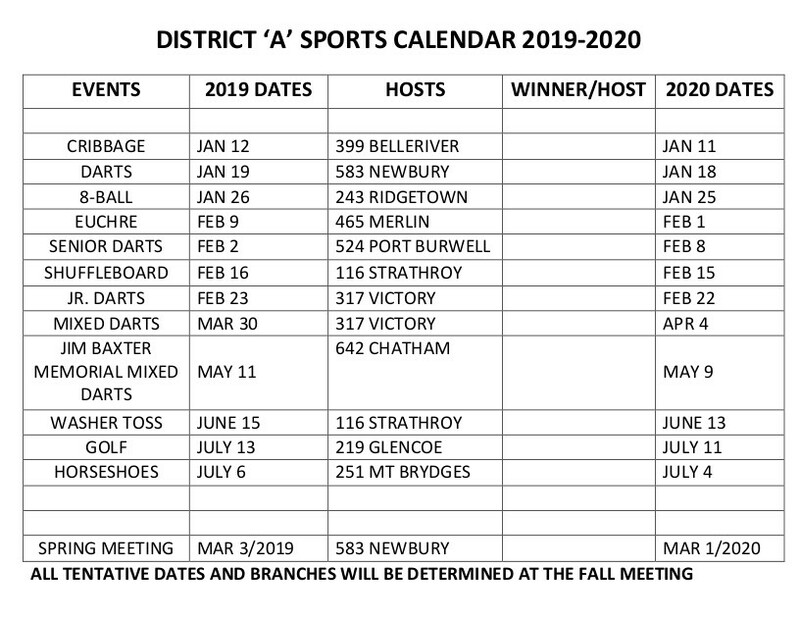 Sports The District sports calendar below indicates the dates of all Ontario sports for 2019. All participants must be paid members as at 31 January, 2019 to be eligible. Please complete the Entry Form or provide me the details and I’ll get the signatures and submit to District. Rick Phillips – Sports and Services Chair. 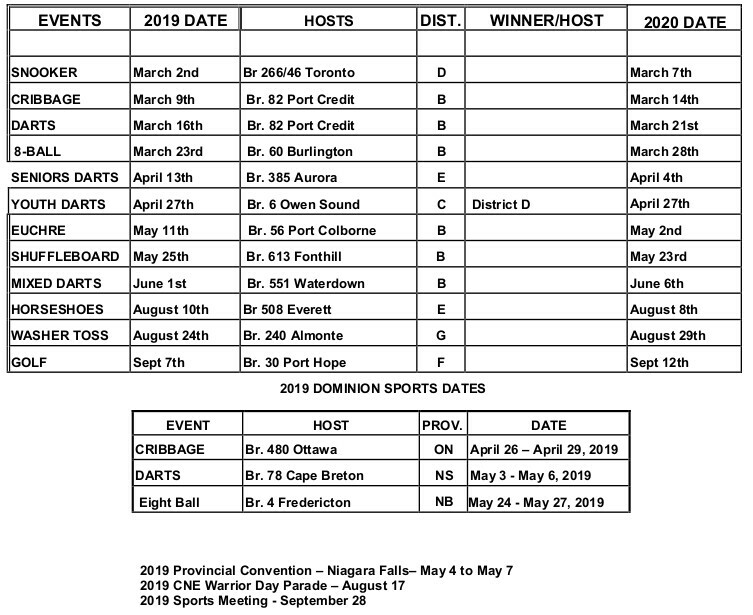 Content Copyright © 2019 Royal Canadian Legion Vimy Branch 145 - All rights reserved.